AP Polycet Notification 2018 will be released soon. AP Polycet 2018 Notification is for the students who want to do their Diploma Courses in engineering .You can also view the AP Polycet Notification 2018 through the official website sbtetap.gov.in (or) polycetap.nic.in. Andhra Pradesh Polycet Official Notification 2018 is going to be released in the month of March 2018. For more information of APPolycet Notice 2018 go through this article. Date of Exam: April 2018. 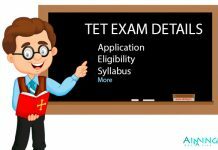 Polycet stands for Polytechnic Common Entrance Test .This AP Polycet is conducted by State Board of Technical Education and Training (SBTET). AP Polycet is a State Level Entrance Examination. Interested candidates can apply for the AP Polycet Entrance Exam through online. In this article we have given you all the details of AP Polycet Notification 2018, Eligibility, Important Dates, Application etc. Candidates must follow the below mentioned guidelines. If not, you are not eligible for the AP Polycet 2018. 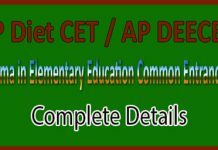 Candidate must be an Indian Citizen to apply for the AP CEEP 2018. The individual must belong to Andhra Pradesh State or must be qualified from the AP Schools. There is no age limit for the interested candidates. Candidates must possess SSC or equivalent certificate issued by Recognised University. Instructions for the candidates who wish to apply for Andhra Pradesh Polycet Notification 2018. 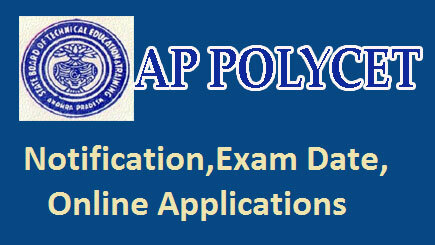 Submit the AP Polycet Online Application. Starting date to apply Online March 2018. Last date to Submit Application April 2018. 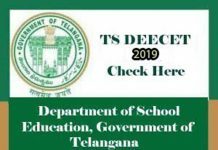 Results Declaration Date May 2018. The Exam consist of 120 Objective type questions. For each correct answer one mark will be awarded and there is no negative marking. The topics for this Exam are Mathematics, Physics,Chemistry. The Minimum qualifying mark for Andhra Pradesh Polycet exam is 32 out of 120 marks. AP PolycetHall Ticket/ Admit Card will be available in the 3rd week of April 2018 till the APPolycet 2018 exam date. The hall ticket shall be available in digital format only. Take a printout copy of admit card for reference purpose.